Hi Guys! I'm Belle* (my favorite character with a little pixie dust on the end) and I'm one of the Co-Guides for the Disney Cruise Line Forums. 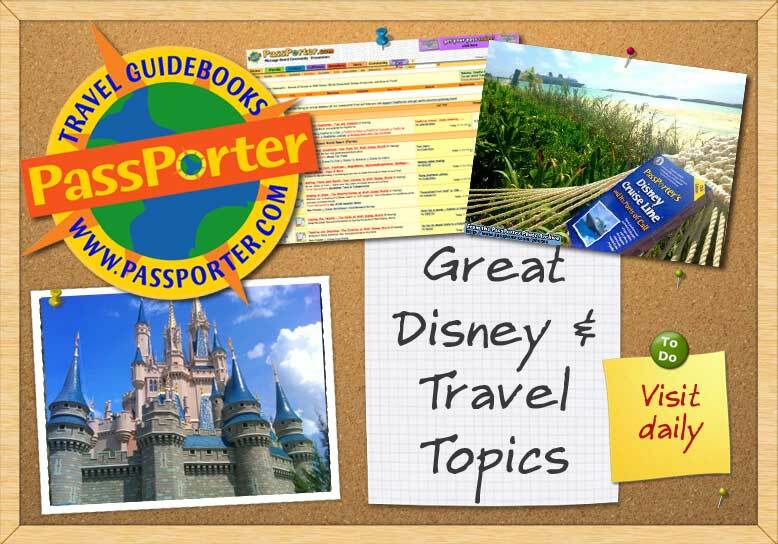 I'm also lucky enough to work for PassPorter as their Online Coordinator and the Editor of PassPorter News, the e-newsletter companion to your PassPorter books. I'm also a Travel Planner for Mouse Fan Travel. In "real life" my name is Sara and I live in Connecticut. I'm married (to Stitch - another member of this board) and we have one son, Ryan. I've been to Disney World over 20 times and cruised on both the Disney Magic and Wonder. This is me - if you see me at WDW (or anywhere else), stop me and say "Hi!" Last edited by Belle*; 02-02-2010 at 08:38 AM..